Between 1316 and 1318, Hungarian King Robert of Anjou brought his court to Timişoara. As recent archaeological findings have shown, the palace’s keep was located on the same spot on which the courtyard of today’s Museum of Banat is located. Archaeologist found part of the keep and of residential buildings in 2011 which presumably were headquarter and lodgings of the king. The Museum of Banat is also located on the spot where Johann Hunyadi, a general in the Ottoman Wars and father to the legendary Hungarian King Matthias Corvinus, built his palace. Its modern form was shaped in the 19th century. In 2012, a complete renovation of the palace was begun supported by EU funding. 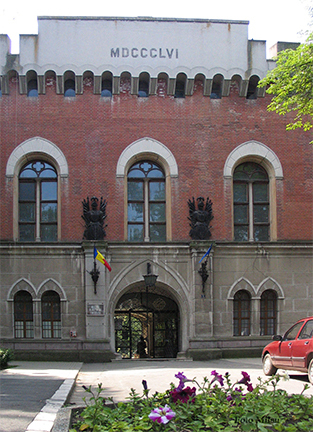 The Museum of Banat is located in Hunyadi Palace.